By the first chapter of the book The Underdogs, by Mike Lupica, I was already hooked on this astonishing page turning story. Twelve year old boy Will Tyler is your average everyday boy who likes to eat food, hang out with his friends, and most importantly play football. But when his town can’t raise enough money for kids to play his favorite sport, he decides to make a plan that is unlikely to succeed. However, when his plan flourishes at acquiring a well-known company to sponsor his team, he faces many challenges and surprises including trying to get more players to join the team, having a girl join, and beating the undefeated Castle Rock Bears. Can Will Tyler win what might be his last season of football and get enough money and awareness to have another football season? This book is a thrilling story, with dramatic scenes that will make you want to know what is coming next. 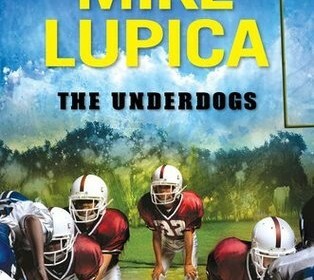 Mike Lupica’s depictions of the characters are very clear and understandable. The book also has amazing lines that will inspire you even after you finish the book. For example on page 46 Will Tyler says, “Nobody knows I am writing this letter to you. Not even my dad. He’s a proud man and dosen’t like talking charity. But I don’t think of it as asking for charity. I think of it as asking for a chance. A chance to work hard for the game I love.” If you like sports and suspense this book is right for you.